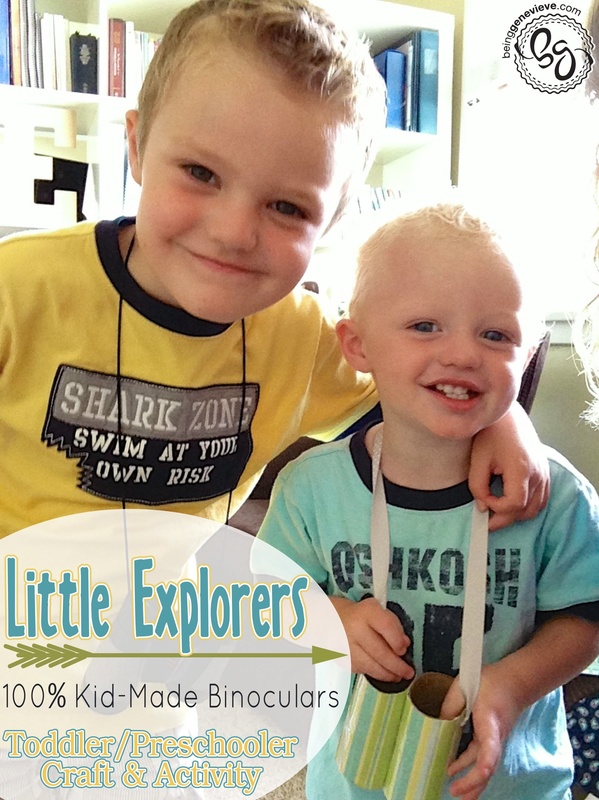 My little guy picked out what scrapbook paper and ribbon he wanted his binoculars to be made out of. We applied the scrapbook paper to the empty rolls just as we did in my Marble Run tutorial. Once the rolls were dry. I taped them together very well using packing tape. This way the scrapbook paper could still be seen. We punched a hole into each roll and tied a piece of ribbon to allow him to wear them around his neck. Then we headed out the door to go for our walk exploring. I didn’t even notice the mis-matched shoe choice until I looked at the pictures. I wonder how often we have gone to the store like that?!?! 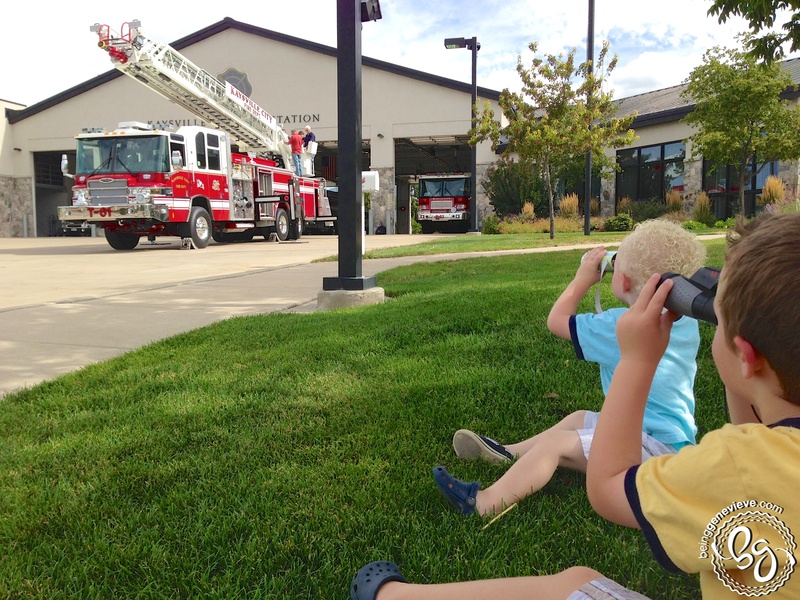 I told the boys to look out their binoculars and tell me what they saw that needed exploring. We began by seeing some ants, a butterfly, some dragon flies, a few birds, etc. all right outside our back door. Then something clicked inside and they realized that we could go exploring the entire neighborhood around us. 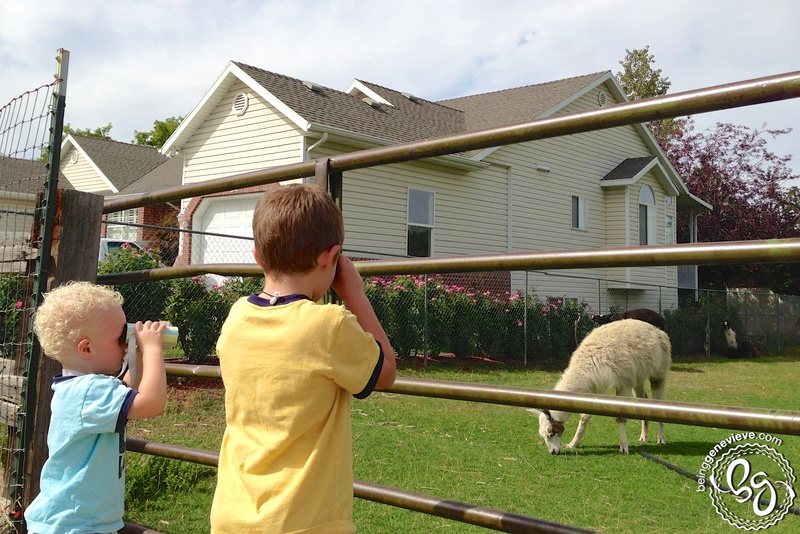 We had a wonderful time seeing everything living within walking distance of our house. They would stop, look through their binoculars and take off running to something they had spotted through their little view finder. It was wonderful to see how eager they were to show everyone what they had seen. 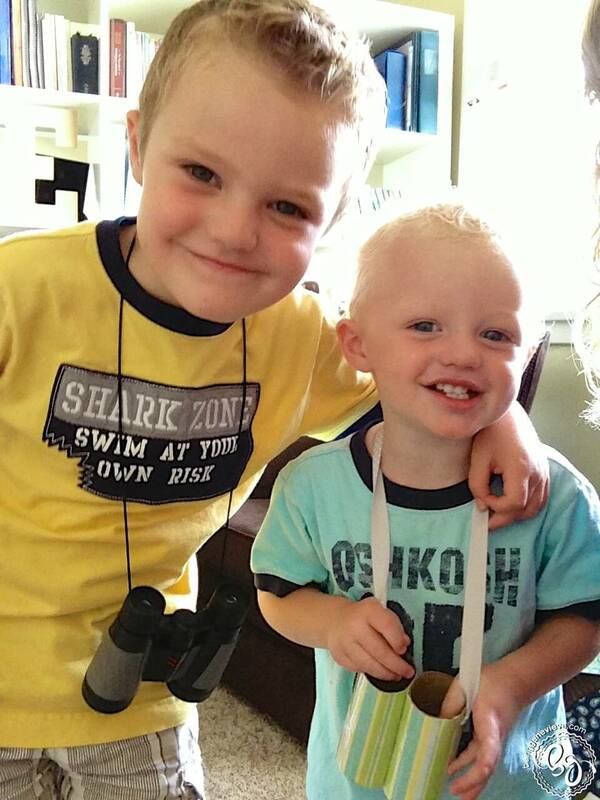 It has been more than a year now and my little guy still loves and uses his custom made binoculars. 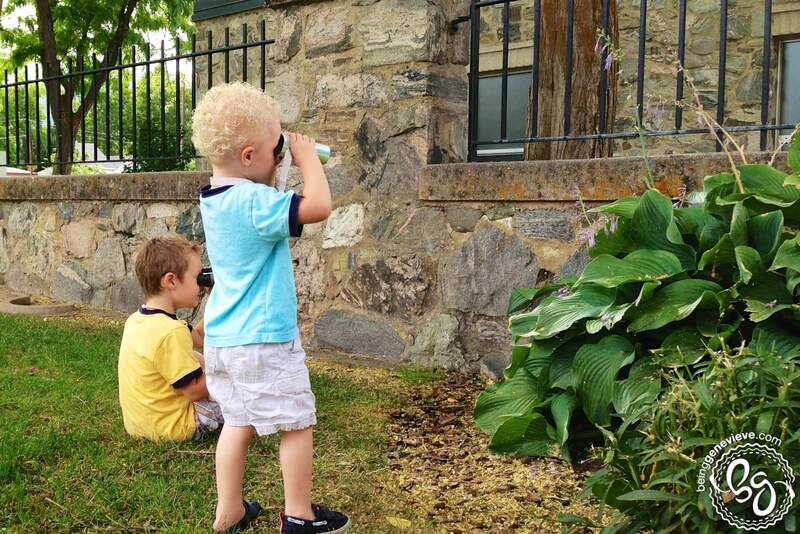 So grab a couple of empty toilet paper rolls and help your toddler or preschooler make a pair of exploration binoculars and get out to see what they can explore. 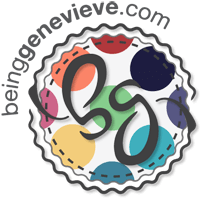 Enjoy the beauties around you and help your little ones to discover and explore the world around them.